15000 Rupees Prize bond Draw 74 Result is available here. Draw was held on 2nd April, 2018. Draw was held in Multan. National Savings of Pakistan organize the draw of Rupees 15000. Here full list of 15000 rupees draw 74 is available. In 15000 rupees their are three prizes which are name as first, second and third.Those persons who have prize bond of rupees fifteen thousand. Now waiting to check the 74th draw result of 15000 rupees prize bond. So that they come to know that they win the prize or not. Here full list of Rs 15000 prize bond 74rth draw is available. The reward for the winner of first prize of 15000 bond is Rupees 30000000. The winner of first prize number is 264322. The winner of second prize for the 15000 rupees bond is Rupees 10000000. The lucky numbers are 325798, 339809, 997942. While for third prize the reward is Rupees 185,000. Their are total of 1199 prizes for the third winner. Each person winning the third prize will get one Lac eighty five thousand rupees. How to Check 15000 Rupees Prize bond Draw 74 Result ? Procedure is mention below to check as well as download list of 15000 prize bond 74 draw result. Result of 2nd April, 2018 prize bond 15000 is available here. You can also check 15000 Rupees Prize bond 74 draw result from the National saving site. 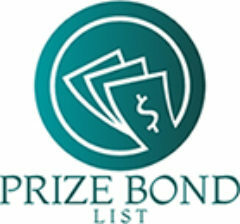 You can view as well as download full list of 15000 prize bond 74 draw results. Press Ctrl+p in order the the print of 15000 Rupees Prize bond Draw 74 Result.